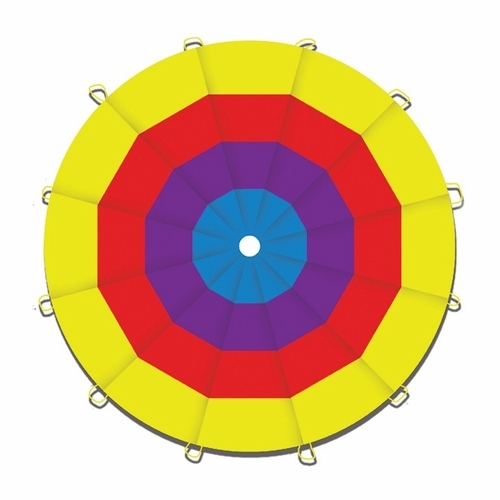 Kaleidochute 12 Ft Play Parachute with handles! A whoosh of color and activity! Create a crowd! Kids come running at first glance of this ginormous parachute! Twelve securely attached loops fit little (and big!) hands perfectly. Grip the handles and begin! A kaleidoscope of color becomes marvelous motion! Encourage participation and teamwork. 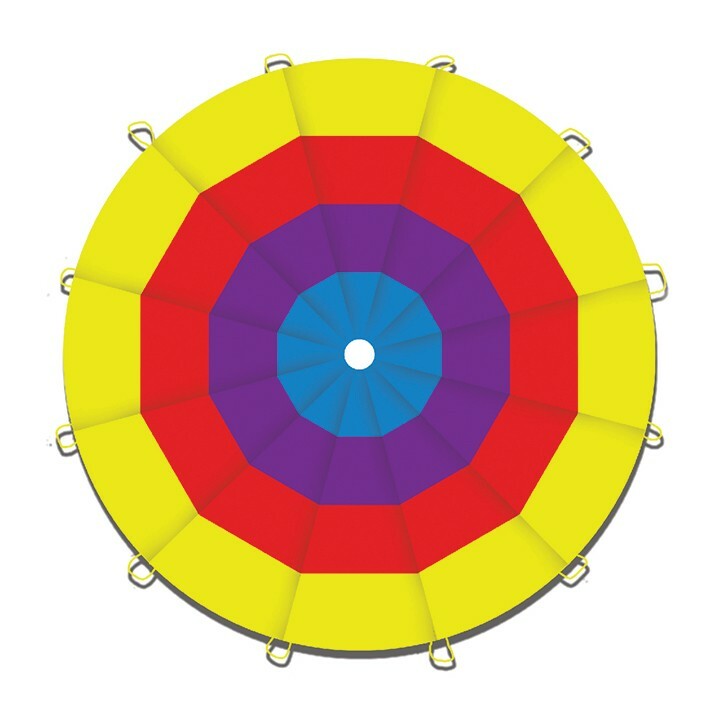 Children combine forces to bounce a ball or water balloon in the center of the parachute, they make bouncing waves, or play tag while it is raised and lowered. High quality polyester is up for the challenge kids bring. Vibrant, rich colors of celery green, cherry red, royal purple and azure blue inspire kids to get in on the action! Here are a few ideas. Try a couple together, then hand it to your kids and see what they come up with! It's ideal for instant party fun! Drape the parachute over chairs or the table - instant fort! Pull out the parachute for instant party fun!